I have said it before, and I will say it again, for a “geek” it is a great time to be alive. When I was younger we were lucky to have one or at most two movies released in a year, we watched re-runs of Star Trek and Batman on TV or played D&D. Now just about every month there is a movie released, there are shows for all fandoms on TV and Pop Culture Conventions happening just about every month in our backyard. Modesto has two great comic book stores Invincible on Orangeburg and Modesto Comic on McHenry behind P.Wexfofds; there is also Fantastic Collectibles in Manteca. If you are into gaming check out Utopia Games on Tully and Area 51 on Coffee Rd in Modesto. 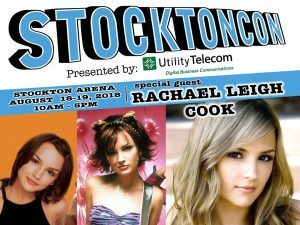 Speaking of Conventions, StocktonCon is back, taking place at the Stockton Arena on August 18th & 19th. 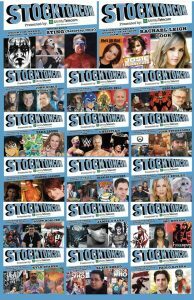 StocktonCon is the crown jewel of Local Conventions, two days 15,000 plus people and so much fun. 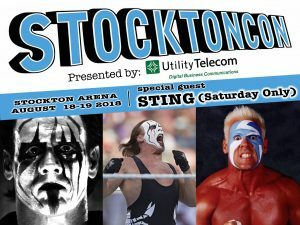 One of the things that makes StocktonCon a little different is the addition of Pro-Wrestlers, this year meet Sting(Saturday Only) and Christian along with a few others and exposition matches by Pro-Bushido Wrestling. 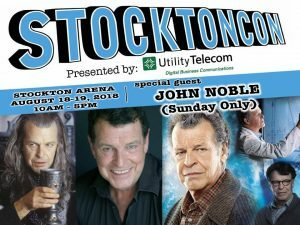 Stockton always has fantastic guests and this year is no exception, meet actors John Noble(Sunday Only), Rachel Leigh Cook, Gigi Edgley and more. Comic and video game artists Palo Rivera, Howard Chaykin, Sho Murase to name a few. Add to all this the Geek Fashion Show, 100’s of Vendors and even more Artists, Live Wrestling demos, panels and Cosplay Contest. You need two days to fit it all in. Advance Tickets are $13 single Day and $18 for the weekend. 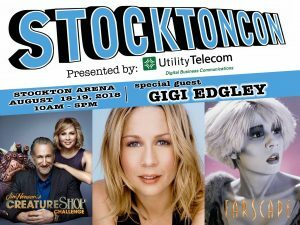 For more info check out www.stocktoncon.com or follow them on Facebook. Remember Cosplay is not consent. If you want a picture please ask first that way you can get the best pose and picture possible. Even if you don’t dress up it is always so much fun to see what everyone else dresses up as. See you at the Con.